Use it For Any Occasion, Round Packaging Boxes are Perfect! Makeup tools, perfume, wine box, cosmetic, watch, health food, hardware, gift, leather, wooden, paper, tea, tie, and what not; when these products are packed in the round packaging box, it looks stunning. Custom round box is in the trend and attracting many businesses towards it. And with all the good reasons, be it drawing customers attention at your products or enhancing the presentation of it. Material used in creating it are:5-3mm Grey Cardboard,128gsm-157gsm art paper,210gsm-400gsm White Card Paper or as per clients’ requirements. For printing: offset, silk, UV coating, hot foil stamping,embossing,matt lamination, gloss, etc, are used for the treatment of the surface to make it eye-catching. According to the product you can customize the size & shape. With the latest equipment you will not miss the most updated product. There are many advantages such as you get latest design and product information, packaging solutions at competitive price, top quality products, and provides enriched view for the customers. 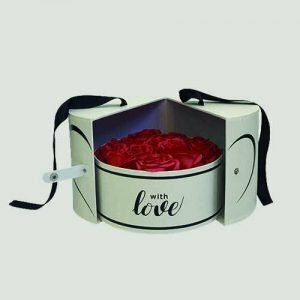 High quality and custom cosmetic box packaging to brand wide array of beauty products from lotion, make up, bath & other cosmetic packaging requirements. You are offered complete customizable boxes and with options such as foil stamping, embossing & debossing, spot UV and other additional process to create the remarkable cosmetic box your target audience. For low, affordable rates, you need some research to do on manufactures, who can ensure quality product and support while producing cosmetic box packaging for you. It is the quality of the offset and digital printing that makes the design of the products cut above the rest!